June 5, 2018 -- Anxiety is a given for Jessica Singer, 25, who juggles her job at a marijuana dispensary with her nighttime gigs as a stand-up comedian in Los Angeles. So when it’s time for bed, "I can't turn off my brain,'' she says. Now she does, with the help of a new bedtime ritual -- a ''snack" of two gummy bears containing CBD. CBD, or cannabidiol, is a substance from marijuana that lacks the ''high'' of the THC (tetrahydrocannabinol) also found in marijuana. The remedy is affordable for her -- about $35 a month. "I'm able to sleep through the night," Singer says. Across town, Tim Shu, DVM, is also dealing with anxiety of a different sort. His 16-year-old pit bull mix, Tye, shakes uncontrollably whenever a noisy car drives by. Fourth of July fireworks used to be a nightmare. But Shu, a Los Angeles veterinarian, says ever since he began giving the dog two daily doses of CBD tincture, an olive oil-based formula he created, ''it takes away the anxiety without causing any loopiness." Even better, "I am able to take her outside while the fireworks are still going on." Shu markets the formula through his company, VetCBD. Sales and promotions of CBD products (some combined with small amounts of THC) are exploding. Industry analysts predict the market in the U.S. will reach $1 billion a year by 2020. CBD, one of more than 100 cannabinoids found in marijuana, is made into tinctures, elixirs, balms and other products. The products are touted for just about whatever ails you, and also for beauty, hygiene, stress reduction, and wellness. CBD skin creams promise a tingly feeling during a massage. CBD-infused mascara promises high-volume lashes with just one hit. Sleep masks with the cannabinoid have antioxidants and moisturizers. CBD is in a personal lubricant and in bath bombs. Some CBD oils are marketed for anxiety relief. "We see it as being the hot new ingredient," says Bethany Gomez, director of research for the Brightfield Group, a market research firm focused on the cannabis industry. "When we talk to people about it, the perception is, 'Isn't it good for everything?' "
She says that awareness about CBD products is rising, mainly due to word of mouth. A growing public acceptance of marijuana plays into the boom, too, she says. Yet evidence for most benefits is lacking, experts warn. The industry has set no standards. As with other products, a CBD product may not deliver what it promises on the label. Despite Internet marketing implying anyone can buy CBD products, that's not the case legally. While many researchers refer to CBD as a non-psychoactive cannabinoid, a better term is ''non-intoxicating," says Martin Lee, co-founder of Project CBD, a nonprofit educational news service. It can come from the marijuana or hemp variety of the cannabis plant. CBD is legal in the 30 states that have legalized medical or recreational use of marijuana and in 17 other states that have legalized some form of CBD, says Paul Armentano, deputy director of the National Organization for the Reform of Marijuana Laws (NORML). But like marijuana, it is still not legal on the federal level. "CBD is interpreted by the Drug Enforcement Administration, National Institute on Drug Abuse, FDA, and Congress to be a Schedule I substance, and therefore it is not legal in all 50 states," Armentano says. The products are also illegal for use in pets, and the American Veterinary Medical Association cautions pet owners against using all marijuana products in animals. While some states allow doctors to prescribe medical marijuana, there “are currently no exemptions for veterinarians at any level," says Michael San Filippo, a Veterinary Medical Association spokesman. Shu, of VetCBD, sells his product only to California dispensaries. Despite the legal restrictions in some states, CBD products are widely sold over the Internet. Some sites ask users to confirm they are 21. There have been ''busts" in some retail stores selling CBD illegally, ''but these actions generally are occurring on behalf of state, not federal agencies," says Armentano, who tracks those activities. But she says the DEA has limited resources and must focus them on issues such as the opioid crisis and the problems of methamphetamines and cocaine. In late 2017, the FDA issued warning letters to four companies -- Greenroads Health, Natural Alchemist, That's Natural! Marketing and Consulting, and Stanley Brothers Social Enterprises (doing business as CW Hemp), citing issues with claims and testimonials related to more than 25 CBD products. Natural Alchemist: "Combats tumor and cancer cells"
Dara Kaplan, a spokeswoman for CW Hemp, says the company worked with the F.D.A. to better monitor third-party testimonials. “We take regulatory compliance very seriously,” Kaplan says. Other companies cited by the FDA did not respond to requests for comment. Even if the claims are not overstated, what you see on the label in terms of CBD content may not be what you get. "Most of the products are mislabeled," says Lee of Project CBD. David Baranowski, PhD, director of research for Delivra Corp. of Prince Edward Island, Canada, recently reported on a method to quantify four cannabinoids, including CBD, in 40 different consumer products. Other companies, he says, have similar methods to evaluate CBD content in products. "The industry must accept the fact that CBD tests must be mandated," he says. "We don’t have that sense of confidence in the label." "There is basically anecdotal evidence that CBD is effective for a lot of things," says Gomez of the Brightfield Group marketing firm. Yet, currently, ''there is not too much in terms of peer-reviewed published research." There is research on CBD for specific conditions, such as pain, says Lee. But he is not aware of any published research on CBD for ''wellness'' applications such as beauty products. 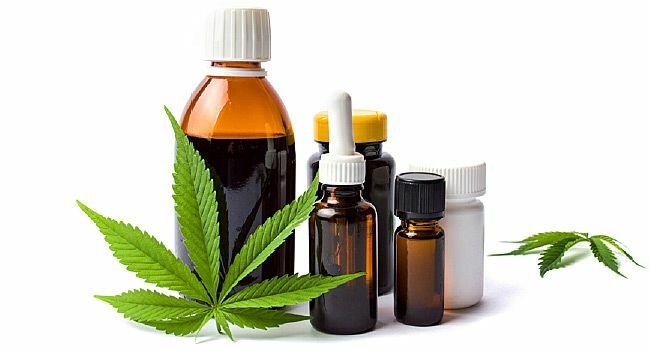 The strongest use for CBD is seizure reduction in epilepsy, experts agree. In April, an FDA advisory panel recommended approval of the drug Epidiolex, an oral CBD solution, for treating seizures in two rare forms of epilepsy. The FDA is not bound by recommendations from the advisory panel, but it typically follows them. An expert panel for the National Academies of Sciences, Engineering, and Medicine found ''modest to moderate'' effects by cannabis or cannabinoids for chronic pain, chemotherapy-induced nausea and vomiting, and for spasticity in multiple sclerosis patients. But the panel cautioned that studies are limited, the number of people studied is often small, and that more research is needed. In a recent review paper, researchers say CBD has potential uses in pain relief, anxiety, arthritis, depression, diabetes, and cancer. "I think the most exciting future [for CBD] is going to be metabolic disorders, obesity and diabetes," says Lee of Project CBD. A Cornell University veterinary scientist reported at a professional meeting that CBD helped relieve pain in dogs with arthritis and chronic joint pain. Staci Gruber, PhD, director of Marijuana Investigations for Neuroscientific Discovery (MIND) at McLean Hospital, is looking at CBD to ease anxiety. "I think the evidence is good that in a lab-based situation, CBD decreases social anxiety," she says. Now she will test it in real life in a study. Gruber, who’s also an associate professor of psychiatry at Harvard Medical School, hopes to begin enrolling in June. Although CBD isn't psychoactive, there can be side effects. In the Epidiolex studies, side effects included sleepiness, fatigue, less appetite, weight gain, and diarrhea. Researchers say they want to do more research on CBD. But federal regulations hamper them, says Angela Bryan, PhD, a professor of psychology and neuroscience at the University of Colorado Boulder. ''The laws for researching CBD are the same as for THC," she says. CBD, like marijuana, is viewed the same as heroin and LSD -- as a drug of ''high potential abuse'' with ''no currently accepted medical use." Studying CBD alone is crucial, Bryan says, to tease out exactly what it can do. But studying a combination of CBD and THC may also be valuable and should also be researched, she says. Studies also need to sort out what the optimal dose of CBD is for different uses, she says. "We suspect dosing of CBD is different than THC, and if anything, people are probably under-dosing CBD." Overall, Bryan says, ''I think there is a lot of potential for CBD to have beneficial effects without the downsides of THC, of being psychoactive." But that potential needs much more research, she says. Jessica Singer, stand-up comedian, Los Angeles. Angela Bryan, PhD, professor of psychology and neuroscience, University of Colorado Boulder; co-director, CUChange Lab. Paul Armentano, deputy director, NORML. Staci Gruber, PhD, director, Marijuana Investigations for Neuroscientific Discovery (MIND), McLean Hospital; associate professor of psychiatry, Harvard Medical School. News release, FDA, Nov. 1, 2017. The National Academies of Sciences, Engineering, and Medicine: "The Health Effects of Cannabis and Cannabinoids: The Current State of Evidence and Recommendation's for Research." Bethany Gomez, director of research, Brightfield Group. Brightfield Group: "Hemp CBD will be a $1 billion market by 2020." Michael San Filippo, spokesman, American Veterinary Medical Association. Martin Lee, co-founder, Project CBD, San Francisco. Tim Shu, DVM, founder and CEO, VetCBD, Los Angeles. FDA Advisory Committee, April 19, 2018. Dara Kaplan, spokeswoman, CW Hemp. David Baranowski, PhD, director of research, Delivra Corporation, Charlottetown, Prince Edward Island, Canada. PLOS One: "A reliable and validated LC-MS/MS method for the simultaneous quantification of 4 cannabinoids in 40 consumer products." Neurology: "Cannabidiol Based Medical Cannabis in Children with Autism -- A Retrospective Feasibility Study." Handbook of Experimental Pharmacology: "Cannabinoids and endocannabinoids in metabolic disorders with focus on diabetes." Critical Reviews in Eukaryotic Gene Expression: "Is Cannabidiol a Promising Substance for New Drug Development? A Review of Its Potential Therapeutic Applications." Video: What Is Medical Marijuana Used to Treat?